For all you fellow damaged hair girls out there, we may have found the perfect Shampoo and Conditioner combo which leaves your hair strong, silky and smooth. What more could you want, right? I'll put my hands up and say that I’ve always had a tendency to cause my hair damage whether it be via. heat from my GHDs, or simply repeatedly applying hair dye to remove the ginger tinge from my hair. But my recent discovery of Tresemme’s Shampoo and Conditioners has made me realise how much of a difference using a good shampoo and conditioner actually makes. The Keratin Smooth Conditioner is like a dream to use. I always leave it in for about 3/4 minutes to let it condition and soak into my hair properly. But it also works well even after a minute, which is great if you’re in a rush and want knot-free hair that won’t take you yonks to blow dry!!! These are on offer at the moment at Waitrose and Boots (£1.99 a bottle... no you're not dreaming!) so all the more reason to give them a go! 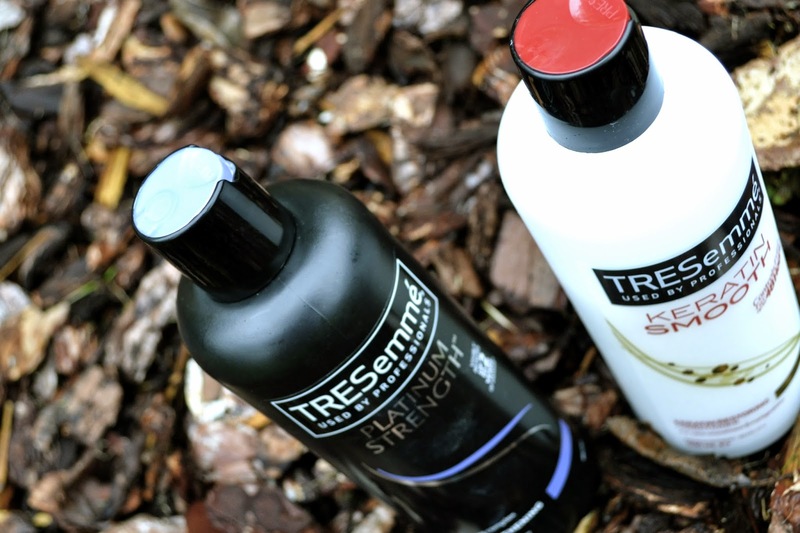 What do you think to Tresemmes haircare range?